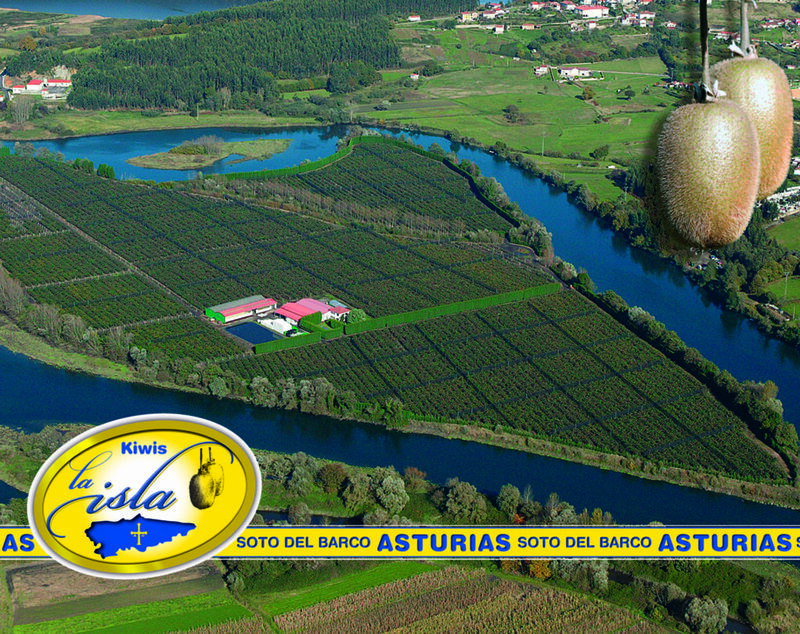 Kiwis La Isla grown high quality on a river island of 25 hectares, located in Soto del Barco (Asturias). The we commercialized in the Spanish market, which is positioned as the largest per capita consumer in the world of this fruit, rich in vitamin C, minerals and fiber, which brings many benefits to the body. The company, family owned, began its activity in 1983, when the farm where it was decided to start the planting and cultivation of kiwis, on land and a favorable climate for it is acquired. Today the island is planted in full, 23 Ha, and we have more than 1 Ha dedicated facilities. Kiwis La Isla grown kiwis variety “Hayward”. It is a green kiwi, the strongest post-harvest and larger exquisite taste and selection. All this production is aimed at the best wholesalers and superstores in Spain, especially highlighting a preferred customer. To undertake all its work, this Asturian company has 7 permanent employees (a graduate in economics, two agronomist engineers, a manager and qualified personnel) plus eventual (15 plus) in times of harvesting and pruning campaign staff. The personnel policy of the company is based on continuous training of workers, on issues of health, safety and productivity. Regarding the technical and material resources, Kiwis Island develops and implements own production protocols and applies the most modern farming techniques.